(l-r) Tim Zhang, Freddie Highmore and Antonia Thomas star in THE GOOD DOCTOR. ©ABC. CR: Liane Hentscher. His character, Dr. Shaun Murphy, relocates from the quiet countryside to the big city, joining the staff of the prestigious St. Bonaventure Hospital’s surgical unit. With only one advocate, Dr. Aaron Glassman (Richard Schiff, “The West Wing”), Murphy must learn to connect with the other doctors and prove to his colleagues that he is worthy of working alongside of them. The series originated in Korea, which was seen by actor Daniel Dae Kim (“Lost,” “Hawaii 5-0”), who brought it to writer David Shore (“House”). Both Kim and Shore are executive producers on the medical drama. The 25-year-old Londoner, whose feature credits include “Finding Neverland” and “August Rush,” came to the TV Critics tour to talk about his inspiring role. 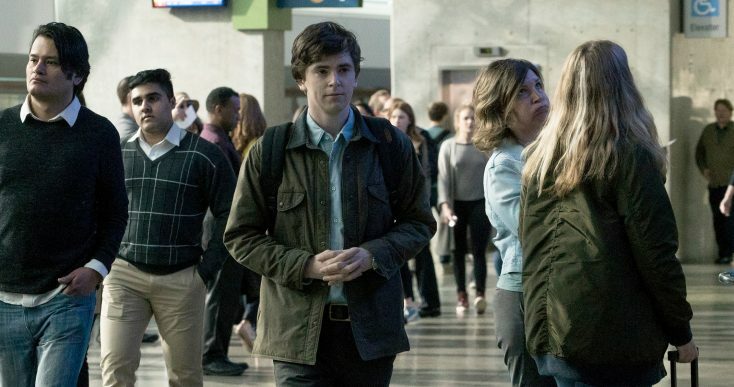 “The Good Doctor” premieres Monday, Sept. 25 at 10 p.m./9C. Q: After playing the complicated character of Norman Bates for five years, can you talk a little bit about what drew you to this project? Highmore: Yeah. It’s nice to save people after years of killing them. (He laughs.) It was probably my comeuppance; I had it coming to me. What drew me to this show was, first of all, the conversation with David (Shore, the executive producer) that I had about his script, which was just so brilliant. It actually came around three days after “Bates Motel” had finished so it was quite the quick turnaround. David’s writing is wonderful. There’s a subtleness to it; a lightness to it. But, at the same time, it manages to delve into those deeper issues without being melodramatic. It’s never forced and over the top. That’s what I love about David’s writing. Q: What attracted you to the character? Highmore: The character was a fascinating one, and it all starts on the page. What we’re trying to do on this in terms of portraying Dr. Shaun Murphy is move away from perhaps the stereotypical versions of people with autism that have been shown on television and in certain movies in the past. The number one thing being that they’re somehow devoid of emotion, that they don’t experience as broad an emotional range as neurotypical people do. Of course, that’s complete nonsense. So, whilst we won’t negate or seek to move away from the very real struggles that Dr. Shaun Murphy will experience by dint of his condition, there will also be moments of joy. And that’s what attracted me to the pilot. There’s a humor to it. You understand what makes him tick. You will find out how and why and who he’ll fall in love with and understand him as a fully formed individual. I know it seems sort of silly having to say it, but I think it hasn’t necessarily always been done in the past. Q: Even though it’s refreshing to hear Shaun be so frank with the doctors, does it make you nervous that he’s doing it in the surgery room? Q: How hard was it for you to learn the medical jargon? Highmore: I feel like I get off somewhat lightly perhaps, in terms of the medical jargon itself, because much of what we’re trying to do when depicting Dr. Murphy is trying to understand in what ways he thinks differently, how he see the world and experiences it differently. One of the techniques that we’ve used in order to try and accomplish that is the visual depictions of what he is going through. Q: How do you hope the viewers will respond to Dr. Murphy? Highmore: I feel like Shaun can never, nor should we try and seek to have him, represent everyone who is living with autism. It would be an impossible, arrogant and somewhat rude thing to do. To attempt to say that this person is going to represent all (autistic people) in the same way (is wrong). (It would be like saying) everyone who’s neurotypical will be represented by this one person. Hopefully, he will speak to everyone with differences. He’s not solely defined by his autism either. He moves into this hospital. He’s come from this quiet country life. He is moving to a big city for the first time. There are many things that he’s dealing with that aren’t necessarily linked to his condition so it’s exploring that too. 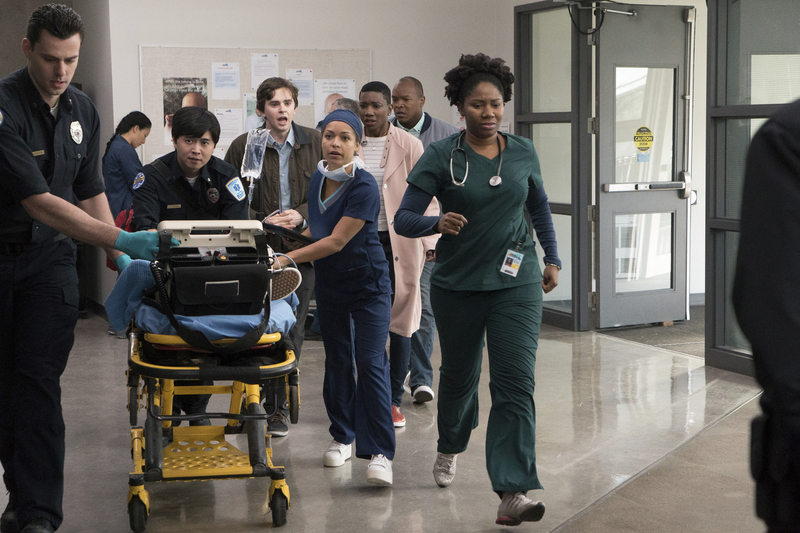 I think much of what the show is about is not solely seeking to try and confine Dr. Shaun Murphy into the rigid structure of the hospital that already exists. It’s more bringing other people into the world that he’s experiencing, seeing how his version of the world can (be) better understood.